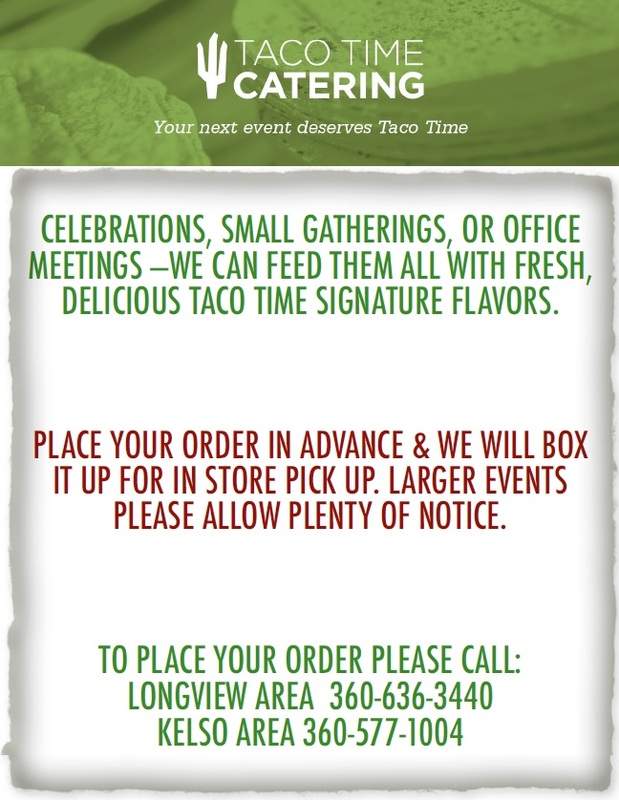 Celebrations, small gathering or office meetings - we can feed them all with fresh, delicious Taco Time signature flavors. Place your order in advance and we will box it up for in store pick up. Larger events please allow plenty of notice.